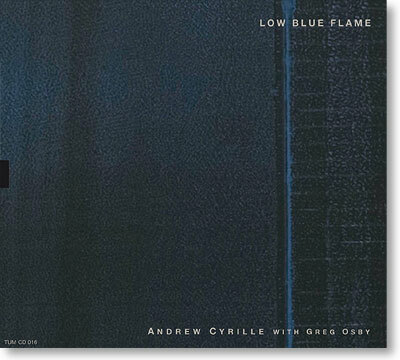 A journey in melodious rhythms and rhythmic melodism, Low Blue Flame brings together renowned instrumentalists Greg Osby on alto and soprano saxophones and Andrew Cyrille on drums for the first time on record. Low Blue Flame is a triumph in the challenging field of the duet play, allowing both players to display their own personal voices in excess while combining their respective talents effortlessly. With the exception of a Thelonious Monk standard, all compositions are by Osby or Cyrille and serve as a launching pad for improvised music of the highest order.